Decorating for Halloween has become as much fun as decorating for Christmas. 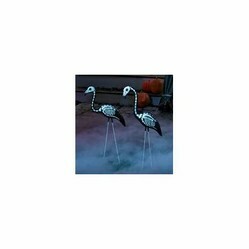 Have you seen the pink flamingo yard decorations all dressed for Halloween? I think they are just a real hoot! You have a choice as to whether you want your flamingos dressed like a skeleton (referred to as Skelemingos) or maybe the devil suits you better. That's right you can choose the Devilmingo for your front yard. 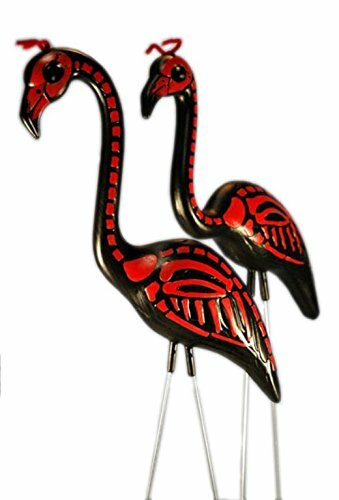 Personally, I think a flock of Skeleton Flamingos with one pair of Devil Flamingos would look really fetching in a yard decorated like a Haunted Paradise. I have a fond memory of the year that I celebrated turning 40. Well, at the time I was not too happy about reaching that milestone but I digress. A group of my friends were all in the same "age boat" sailing into the 4th decade of our lives and we loved to pull pranks on each other. "Oh my Word!" There in my yard were 40 (yes 40!) tacky pink plastic flamingos. In the center of these grazing pink birds was an even tackier sign proclaiming to the world that I had indeed reached the 40th year of my birth. It seems my prankish friends found a guy who would plant signs in a yard in the middle of the night along with anything else you might want him to plant. It was hysterically funny at the time and you wouldn't believe how many people stopped that day and wanted to buy the flamingos! too bad the flamingos weren't dressed for the occassion! If you are big into decorating your yard for Halloween, I would venture to bet that you will be the first on your block to use the Halloween Yard Flamingos as a part of your decorations. I would also bet that you will have people driving slowly by to gawk at these clever birds. They can be nestled into a garden area or as I mentioned before incorporated into a scene that looks like a Haunted Paradise. Use your own imagination and go as far or as little as you want with these Skele-mingos and/or the Devil-mingos in your Halloween fun this year. They really are very retro and will add whimsey to your lawn. Don't you think? 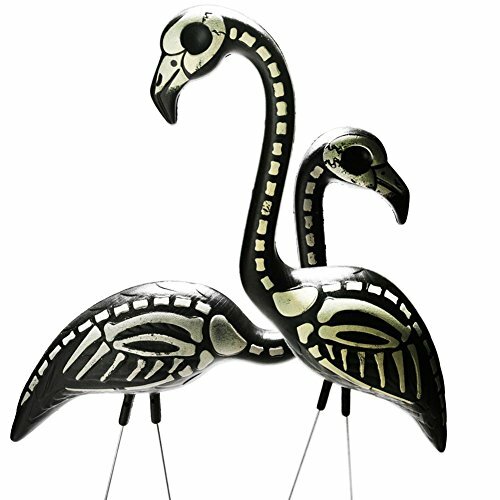 Will you decorate your Yard with flamingos this Halloween? Oh I sure am! I like the Haunted Paradise theme. Well, I'm tempted but I don't know yet. Are you crazy? No way, no how, they are not for me! I like this new Halloween version! I have seen lots of the pink ones, but spooky ones haven't appeared in our neighborhood as of yet. Will be keeping eyes open! Cool! Never seen Halloween yard animals before. Wow. The flamingos are very unique. This is the first time I've seen these. My toddler would like these, he loves 'mingos. Tooooooooooooooooo Funny! I love your Halloween Flamingos! 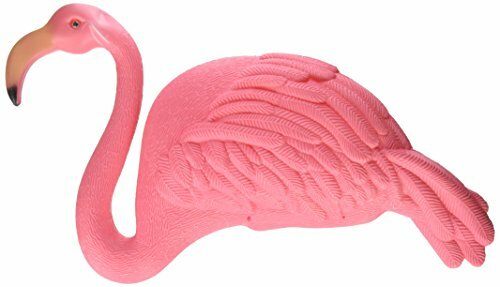 I love your 40th birthday flamingo story! I think I'd like your friends :-) The DevilMingos caught my eye here. Cupcake stands are a great way to showcase your best cupcakes and these Halloween cupcake stands are no exception.